The selfie -- an image of oneself taken by oneself -- has become increasingly ubiquitous and is one of the defining features of this generation. 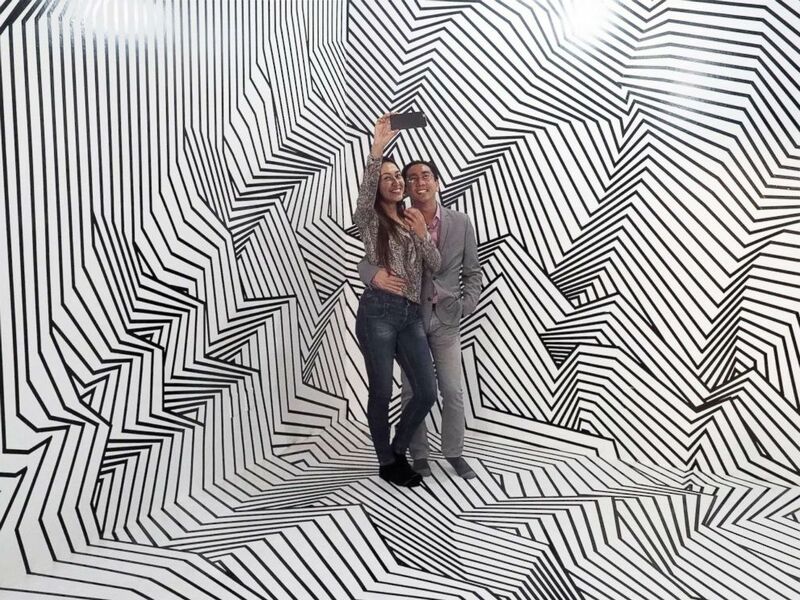 Now you can explore the origin of this phenomenon at the Museum of Selfies. 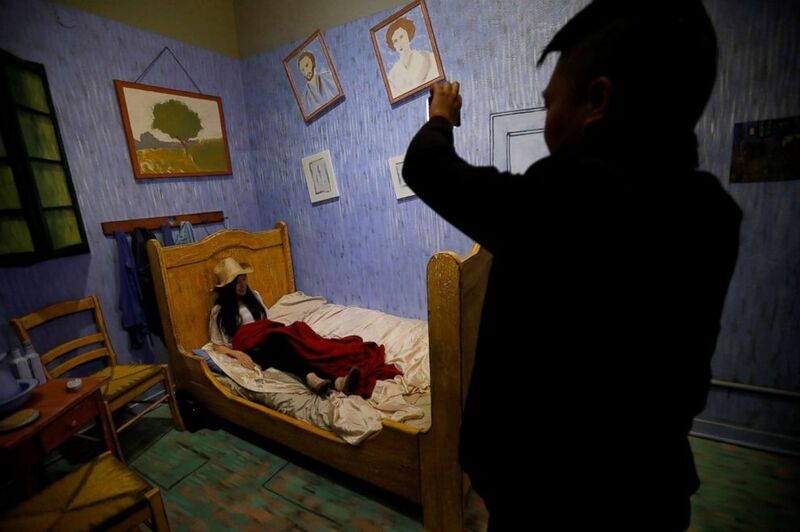 Located in Glendale, California, the pop-up interactive museum opens for a limited two-month engagement from April 1 to May 31. Visitors will be able to explore the 40,000-year history of self-portraiture and the "spectacle of the selfie" through the lens of art, history, technology and culture, while taking some amazing selfies of their own with the museum's interactive installations. The museum features over 15 unique exhibits, as well as a record-breaking selfie stick measuring 90 feet, 6 inches long that extends through the entire length of the museum. "Whether you love them or hate them, you won't see selfies the same way again," the museum states on its website, which is decorated with images of iconic portraits like Leonardo da Vinci's "Mona Lisa", Vincent Van Gogh's self-portrait, Gustav Klimt's "The Woman in Gold" and Michelangelo's statue of David photoshopped so that their subjects are each holding a smartphone. A guest poses for a photo during a VIP media preview ahead of the opening of the Museum of Selfies in Glendale, Calif., March 29, 2018. 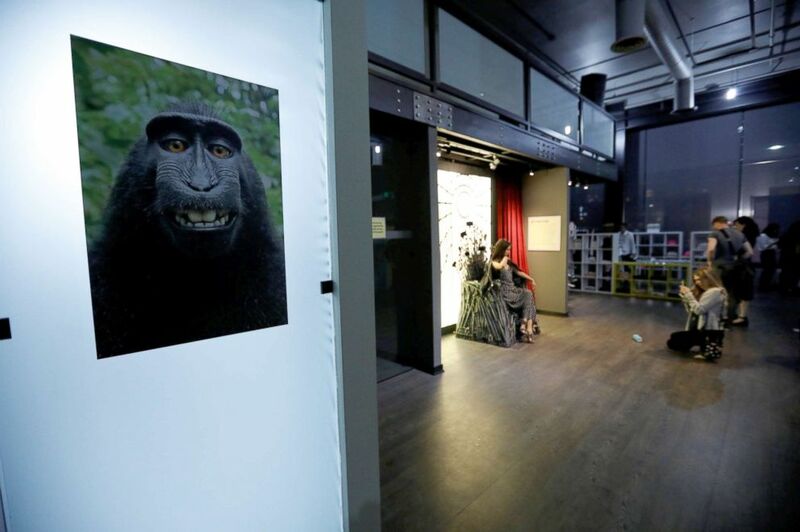 A print of a monkey selfie is on display during a VIP media preview ahead of the opening of the Museum of Selfies in Glendale, Calif., March 29, 2018. 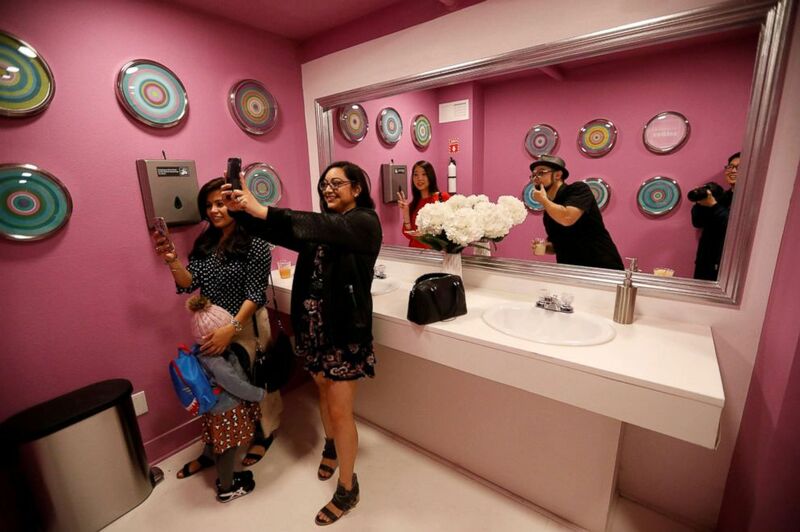 Visitors take a selfie at the Museum of Selfies, in Glendale, Calif., March 29, 2018. Guests take a selfie during a VIP media preview ahead of the opening of the Museum of Selfies in Glendale, Calif., March 29, 2018. 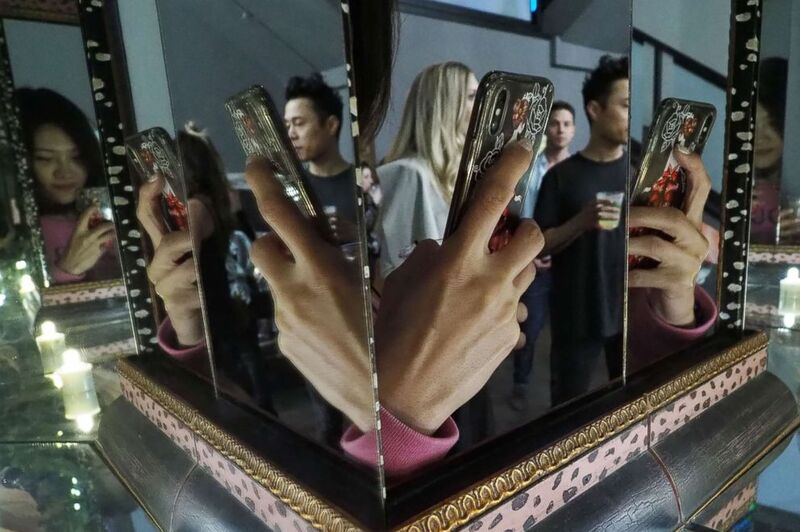 The hand of a visitor taking a photo with a cell phone is reflected in mirrors at the Museum of Selfies, in Glendale, Calif., March 29, 2018. 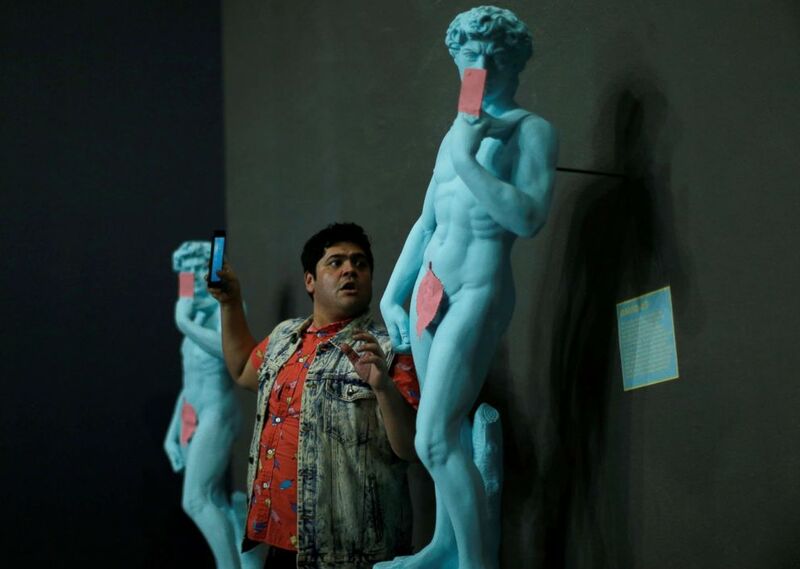 A visitor takes a selfie at the Museum of Selfies, in Glendale, Calif., March 29, 2018. 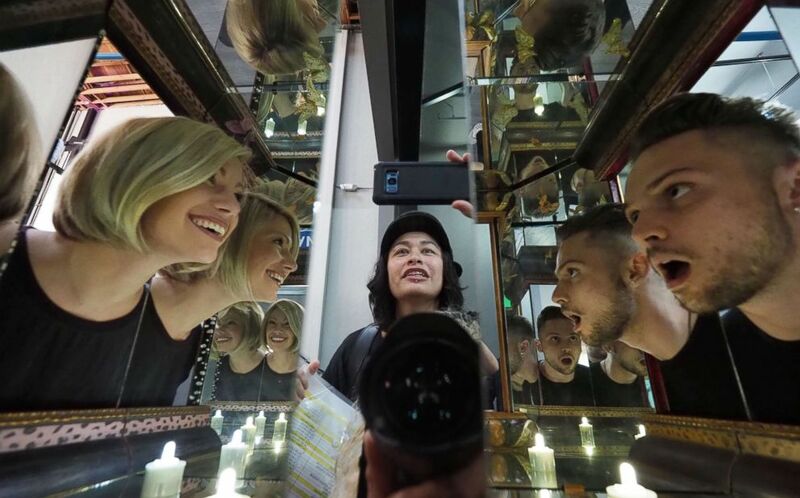 Visitors explore artist Matt Elson's infinity box entitled "You And Me Together," at the Museum of Selfies, in Glendale, Calif., March 29, 2018. 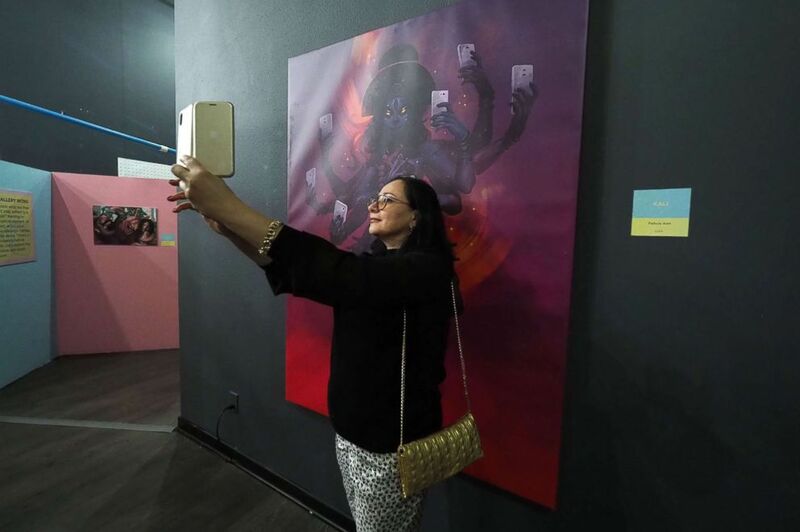 A guest takes a selfie during a VIP preview ahead of the opening of the Museum of Selfies in Glendale, Calif., March 29, 2018.